Over March Break I took my kids to Ottawa for a quick two-day trip. I planned visits to the Science and Technology Museum, the History/Children’s Museum, and the Bank of Canada museum. We stayed at a hotel with an indoor waterpark and ate tons of food that was bad for us. In the middle of all the fun, I also scheduled a tour of Parliament, figuring I’d squeeze a little education on Canadian politics into the trip. Wouldn’t you know, the parliament tour turned out to be the kids’ favourite stop? We lucked out with an amazing tour guide, Elyse, who was dynamic, fun, and really knew her stuff. My son pleasantly surprised me when he was able to answer all her questions along the way (Who was the first Prime Minister of Canada? Which is the only room to survive the fire? When did the fire take place? Etc., etc.). My daughter thrilled me by raising her hand at every stop and asking her own series of questions. My son told me afterwards that it was great to see all the things he was learning about in class; that it somehow makes it tangible. I remembered my own trip to Ottawa when I was in school, and the impression that left on me, being able to sit in the gallery and watch the House in session. It made me realize how lucky we are to be able to take these tours. And then Elyse dropped the bomb. In the fall of 2018, the Centre Block of Parliament will be shutting down for a period of 10 years while the building undergoes some much-needed renovations. That means a generation of children won’t have the opportunity to tour this important landmark and, for example, discover why half of Queen Victoria’s crown is missing in her official portrait. I immediately scoured our collection to see what we had that might help lessen the blow, and these are the films I found. 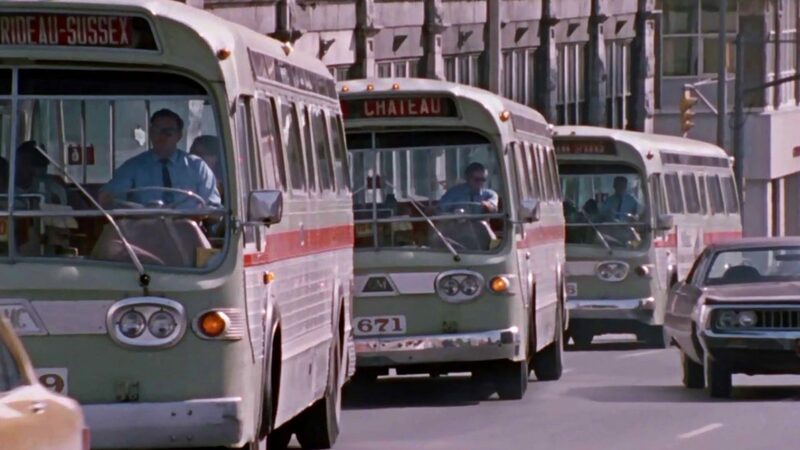 Filmed in 1957, this delightful film introduces us to a charming retiree who spends his summer serving as an Ottawa tour guide. Even though we don’t get to go inside, he begins his tour at Parliament, and gives a decent rundown of what you’d find inside the building. As a bonus, he takes us through the rest of the city, as well, giving us a rundown of Ottawa’s history. Same idea as Capital City, completely different approach. Filmed a little more recently (1989), this short film uses teens and humour to explore the nation’s capital and explain how it functions to a wide audience. This film comes with a bonus of its own – 80’s hair! Unfortunately, this one is only available to teachers with a CAMPUS account, but it’s a good one and worthy of inclusion on this list. If you’re a teacher who will lose the opportunity to take your students on the real tour, keep this film in your back pocket. It’s a great guide to what goes on in Parliament, and how it affects the lives of Canadians. It explains the roles of the Prime Minister, Cabinet, and opposition parties; the nuts and bolts of how a bill moves from conception to law; and the daily life of a back-bench MP. An enjoyable and thought-provoking journey in Canada’s history. Thank you. The 2015 Canada Day Challenge has begun! Youth from every region of the country are invited to take up the Canada Day Challenge.